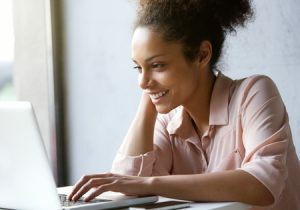 Search engine optimization, known more frequently as SEO, is a series of online marketing techniques implemented for the purpose of ranking high on Google search engine results pages (SERPs). For plumbing contractors, SEO is a critical element for business growth, and financial stability. Since plumbing companies operate within a confined geographical range, SEO should be tailored to the area for which customer lead generation is most advantageous. Local SEO is a subcategory of SEO. It retains all the elements of search optimization, but tailors them to a specific geographical location. Call (877) 388-9884 for plumber local SEO marketing. Marketing 101 teaches us to know our audience. For plumbing companies, identifying your market is the foundation of your local SEO. Do you service a city, a county, or some combination that does not fit within normal geographical divisions? In any case, you can document your service areas through Google Maps. Watch this Google My Maps tutorial for more detailed instructions. Part of being a professional plumbing contractor, is that eventually a customer will take issue with an aspect of your service. While this was less of a problem in past decades, when one unhappy customer could not influence hundreds of prospective ones, 2017 is an entirely different landscape. 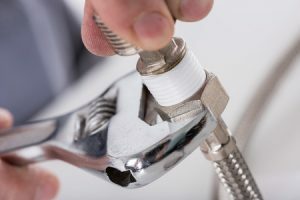 Plumbing companies must be vigilant, not only in generating reviews from their customers (real reviews and not paid fake ones), but they must be willing to professionally respond to negative reviews, and promote their company as customer friendly, reputable, and trustworthy. When people say “mind your own business” they are actually speaking to a critical aspect of local SEO. Google My Business pages are the most important citation source your plumbing company will have. Because GMB profiles appear on SERPs and are accompanied by review ratings and business information, a well optimized, accurate, and detailed business page is a requirement for plumbing companies hoping to grow their business online. With the amount of online directories available, plumbing companies should be taking full advantage of local SEO exposure opportunities. Websites like Yelp, Google My Business, Better Business Bureau and HomeAdvisor, are all great places to claim and optimize your business listing, and they also serve as valuable links. Accuracy and consistency are critical to online citation sources. By listing identical NAP, or name, address, phone number, information, plumbing companies can begin to establish their brand through every corner of the internet. In addition to online directories, plumbing contractors should take the same approach to social media, and create a presence on Facebook, Twitter, and other networks. So your plumbing company website is up and running, and the pages are optimized for Google search. So what do you do now? It is critical that plumbing contractors continue online activity, even after their website is completed. How can you do this? One major thing you can do, is to regularly post on your website’s internal blog. If you are using the WordPress CMS, you have the option of posting blogs to your website. This consistent activity lets Google know your website is still active, and therefore relevant to search engine users. Call (877) 388-9884 for plumber local SEO marketing.